Inside their hillside ballroom tons of people were chatting with vendors, admiring the venue and enjoying their free drinks provided by Elite Bartending Services, Cheers Party Services and Margarita Man. 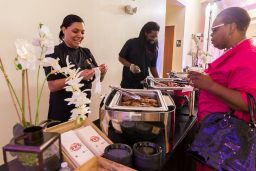 Guests were lining up to try all the yummy samples provided by Blanco BBQ, Fusion Cuisine Catering, Heavenly Gourmet Catering and Catering by Celebrations. We even enjoyed a little food ourselves and it was tasty! The atmosphere was perfectly set by all the different types of music played by ICADJ Events, Vega’s DJ Services and Four 40 Entertainment. 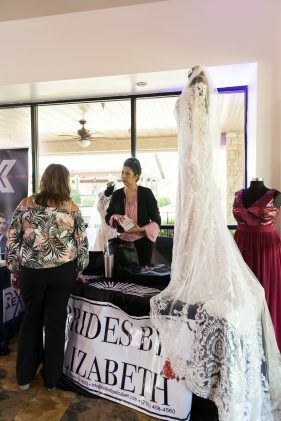 The music was catchy and had guests tapping their feet while talking to professionals. While we were jamming out to the music, we couldn’t help but notice all the brides who were admiring the gowns provided by Brides by Elizabeth. 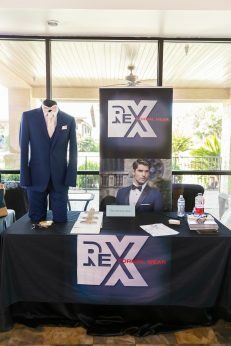 Grooms even were checking out the tuxedos provided by Rex Formal Wear. Aly Am Paperie Invitations and Gifts kept their booth busy with brides touching and adoring all their cute invitations. Couples were dreaming about their own weddings while looking at the portraits taken by Aria Productions and Sun Gold Photography. To top it all off, Granberry Hills was giving tours around the venue. The crowd cheered every time a bell was rang, which meant Granberry Hills snagged another bride! 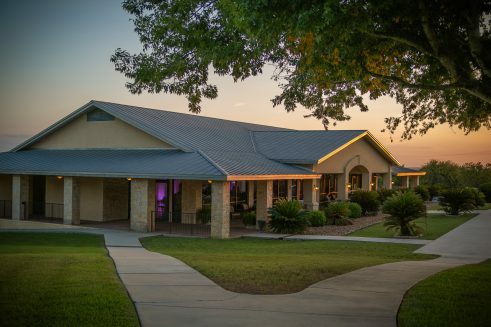 Also present were COMPLETE Weddings + Events, Texas Wedding Ministers and Rent Event. 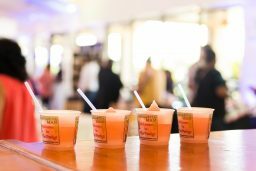 So many awesome vendors were present at this meet and greet and we had an amazing time. Check out some pictures from the event below.